Are you an aviator? If you don't know you're probably a pilot. There's a difference, you know? If you suspect you're a pilot, don't worry. Included below is an example of a consummate aviator. Follow the man's path and someday you may be a fraction of the fly-boy he was. Good luck. Captain Eric "Winkle" Brown was an aviator. His story is one of legend. I could not accurately tell it if I tried. Therefore, I'm including a one hour video you should watch. Tonight, say no to Netflix and kick back with this instead. You'll be glad you did. Afterwards, see the link below for Winkle's Obituary. When he passed, the planet lost a legend. 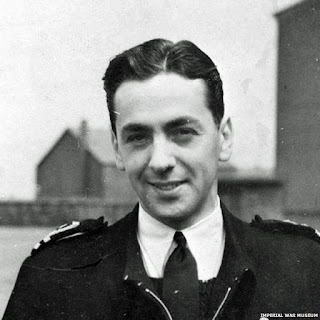 Click here for the obituary of Captain Eric "Winkle" Brown. Great story! Thanks for posting the link.